Thanks for the shutout, Rebecca. Let’s look at your health and what will make headlines in 2019 in this arena. Dr. Jennifer Ashton is with us, and so much to talk about. Let’s talk about losing weight. Every one of us here, right? Is going to say to ourselves starting today, okay. I mean it this time. Right. Here’s what I have my eye on in the new year. First of all, you have heard me say it before. 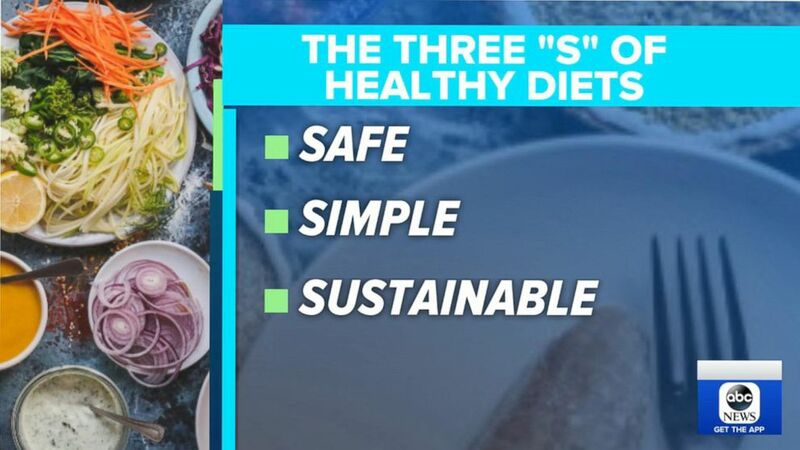 It has to have the three “Ss.” It has to be safe and sustainable. There is intermittent fasting. You have heard of it. What it is is you use the clock. There are apps for this, and you set the time during the day that you eat. For me, it’s, like, noon to 8:00 P.M. Very easy to do. Largely this works by decreasing the caloric intake. If you are cutting out a meal or snacking or picking, you will be eating less. Not for someone with diabetes who needs to keep a steady level of blood glucose going, but for weight loss or awareness or maintaining your weight, it can meet all three “Ss.” I have a follow up question. Sure. I have two. Okay. Would sleeping help? What if you fasted longer in the morning? You could get yourself a 12-hour fast. Correct and that’s super easy for us, working on the show. By the time we finish, it’s pretty much noon. Right. You’re getting eight hours there, and push breakfast later and before you know it — It’s worth a try and some people like that regimen and schedule. Does it wreak havoc with our metabolism? It doesn’t. In a day, you’re never truly fasting. This is just using the clock to restrict when you are eating and when you are not eating. We’re going to turn to women’s health now. There will be a new focus now on M and M. What does that stand for? I care about womens a health and men care too. We will be looking at two “Ms.” Mentopause and maternal mortality. 6,000 every day go through menopause, and there will be more options than ever. There will be a big focus on post-partum care. Our rate has gone up. We are losing women in pregnancy and post-partum when every other developed country is going down. We need to do better on that. Yes, please. Let’s continue that conversation. So M and M. We’ll be talking about both of those things. Jen, thank you so much. Happy new year. Love that conversation.